30 The Esplanade is a landmark building commanding excellent views over the Swan River. This recently refitted office space features Billi units with XT Touch Dispenser in Brushed throughout. FLUX is a high quality coworking space complete with Billi units in the many kitchen & breakout areas. 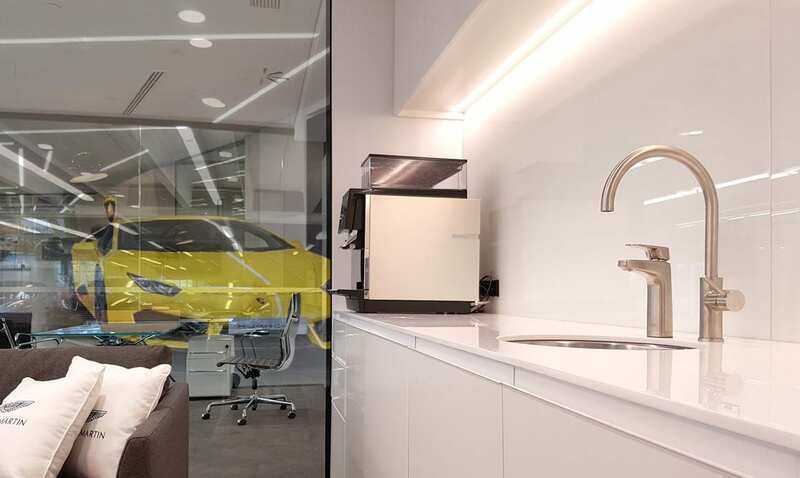 Premium automobiles, The Giltrap Group Head Office in Auckland New Zealand features Billi units. Billi catered for Vodafone and installed taps aligned with Vodafone branding, red and white. The mighty MCG boasts over 50 Billi boiling and chilled filtered water systems. The VCCC in Melbourne had 65 Billi Quadra units installed across various levels. Billi installed over 150 Quadra systems in the Sunshine Coast University Hospital.